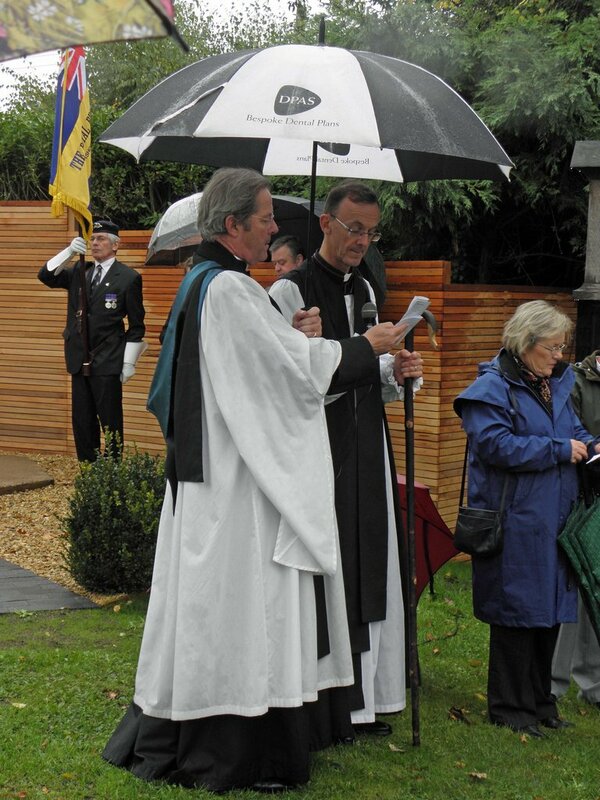 The weather was at its most gloomy and damp for the re-dedication by the Bishop of Worcester on 13th October 2013. 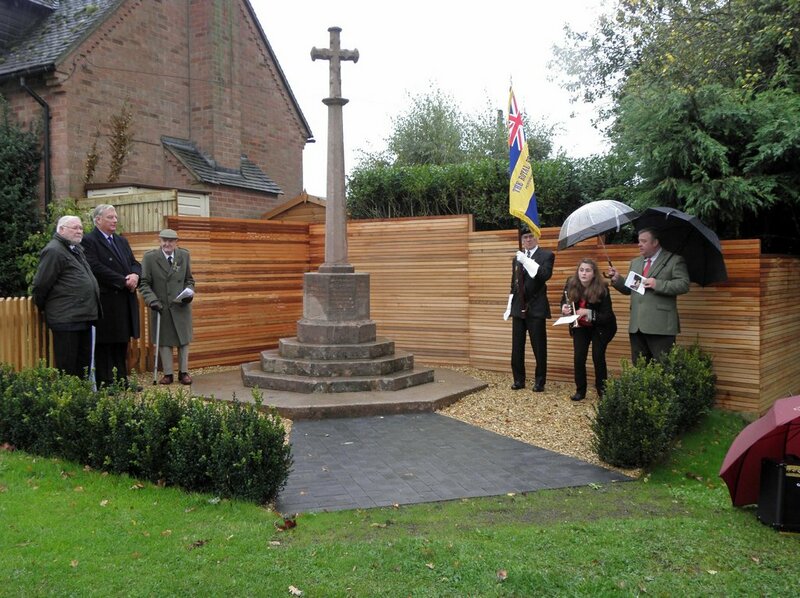 In a sense, as the ceremony was to re-dedicate a memorial erected to honour the dead of the ‘Great War,’ the sombre nature of the weather led us to remember the awful, wet mud filled trenches and battlefield conditions in which so many lost their lives. In his address Bishop John reminded us that men of that generation were taught that the purpose of their lives was to provide service to others. He suggested that in this materialistic society we had a lot to learn from them, as only through service could we feel our lives were truly fulfilled. 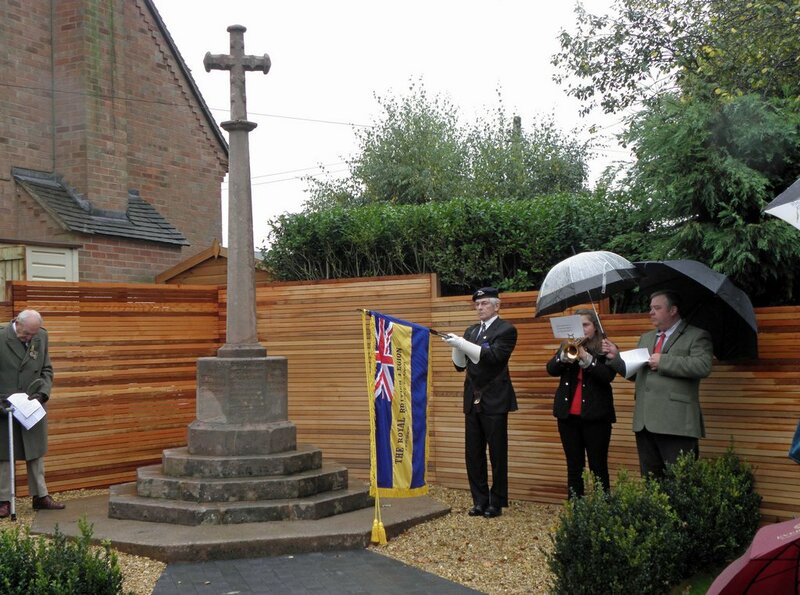 The traditional service at the Memorial was particularly moving, and the Society would like to thank the Pershore British Legion for attending with their standard and such an accomplished bugler. 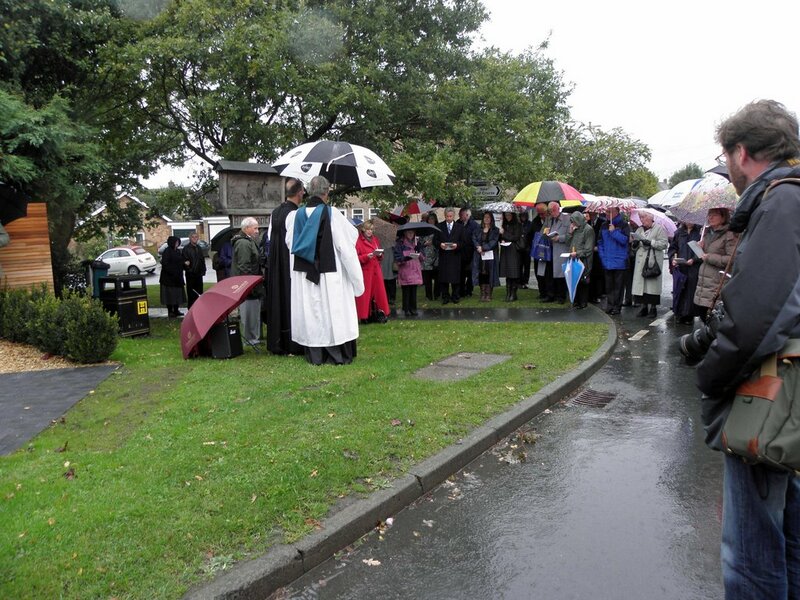 Thanks also to all those at the church and memorial who, spoke, read, sang, greeted and ushered, and to all those – including descendants of those listed – who braved the elements to make it such a memorable day. I must give particular credit to the Parish Council who were so supportive and joined with us in this hugely worthwhile mission. It is a tribute not only to the men who gave their lives, but also to the late Peter Averis for whom the memorial was so dear, and whose book Bishampton Remembered enabled the villagers who bought it to contribute to the renovation. In his address at the first dedication in 1931, General Sir Francis Davis asked the villagers paying tribute to pass on to their children the message of what the memorial stood for ‘so that, if a stranger came to the village a hundred years hence and asked what the memorial was, his question would be answered.’ I hope villagers will feel that we have accomplished that directive.